Photo manipulation is no big deal today, but before digital tools made it simple to make the impossible appear real it took a masterful artist. 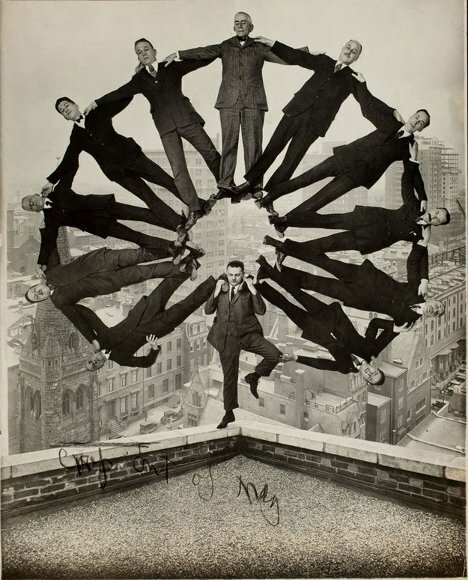 An exhibit at the Metropolitan Museum of Art is paying tribute to some of the incredible photo manipulations that predate Photoshop by years, decades, and in some cases more than a century. Above, an amusing manipulation from around 1930. Early photo manipulations used a number of techniques to create their convincing effects. Some utilized multiple exposures, which is achieved by taking more than one photo on the same negative; others used collage or overpainting methods. 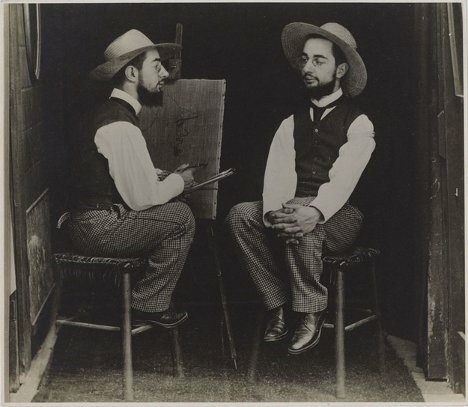 Above, Henri Toulouse-Lautrec fills the roles of both artist and model in this 1892 photo. Although the act of retouching and manipulating photos is routine today, in the early days of photography there was an entirely different meaning attached to the creation of these works of art. They each redefined the camera’s relationship to the world – one fascinating impossible photograph at a time. 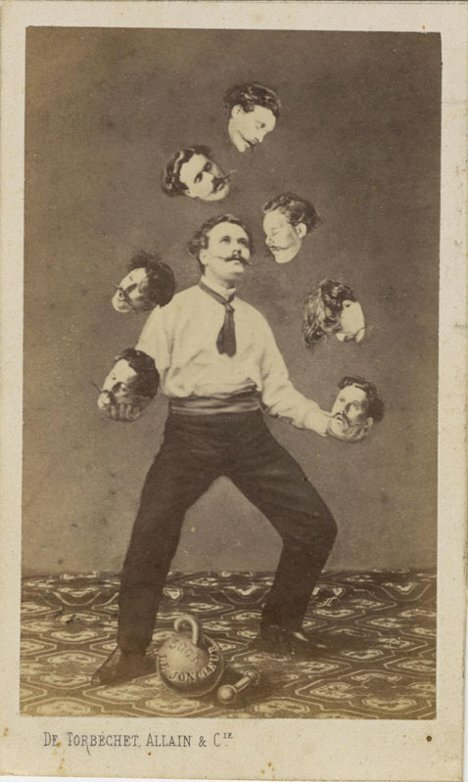 Above, a man juggles his own head in a photo from approximately 1880. Many photo manipulation techniques actually started out as legitimate efforts to produce perfect images. Composite photos were utilized to combine the best aspects of multiple exposures, thereby eliminating trouble spots or imperfects. 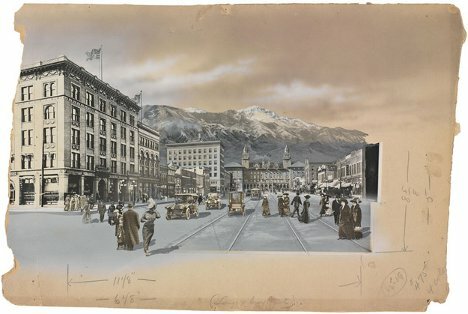 Above, a manipulated photo of Colorado Springs, Colorado from around 1913. Besides depicting impossible feats, early photo manipulations also showed events which never actually happened. 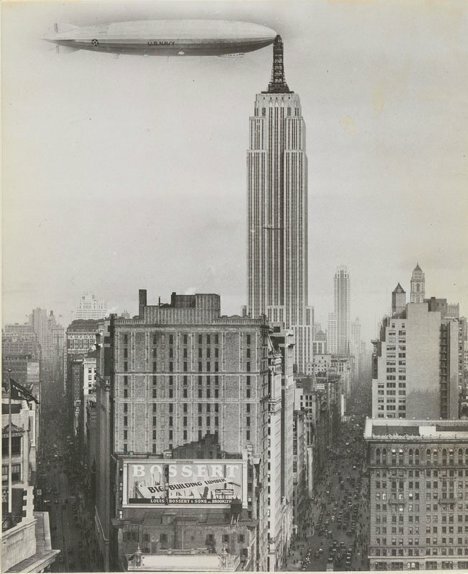 That may not seem very impressive in this age of extreme photo memes, but in 1930 this photo of a zeppelin docking on the Empire State Building was undoubtedly stunning. Of course, just like today, some of the earliest photo manipulations were meant to do nothing more than to entertain viewers. This slightly creepy 1930 photo doesn’t seem to have much of a message, but it sure is impressive. 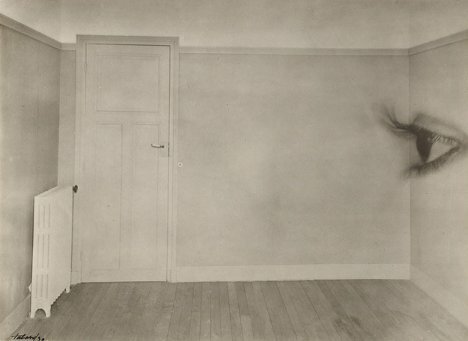 Faking It: Manipulated Photography Before Photoshop runs from October 11, 2012 to January 27, 2013. See more in History of Tech or under Vintage & Retro. September, 2012.